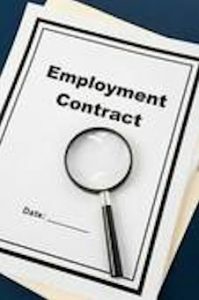 The SEC has made clear that employees of SEC-regulated companies may report bribery to the SEC under the Dodd-Frank reward program regardless of how broad the confidentiality provisions are in the employee’s employment or severance agreement with the company. 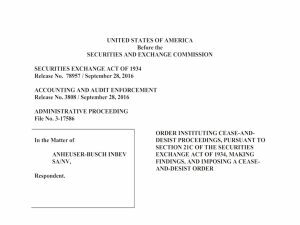 In September 2016, the SEC imposed a Cease and Desist Order against AB InBev in part for violating the “Whistleblower Incentives and Protection” provisions of Section 21F of the Dodd-Frank Act. This related to AB InBev’s decision to place broad confidentiality provisions in foreign employees’ severance agreements without explaining to those employees that the confidentiality provisions do not prevent the employees from communicating with the SEC about any securities or bribery violations committed by the company. If anyone has a question about whether he or she is allowed to provide company-related information to the SEC in connection with the Dodd-Frank reward program, he or she should feel free to email me at arickman@rickmanlegal.com. For more information about the Dodd-Frank reward program, please click here. And for more details about how the reward program applies to FCPA whistleblowers, please click here.